Now Open in East Cobb - Fresh, Local Breakfast, Brunch and Lunch. 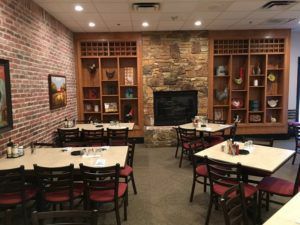 The newest Egg Harbor Café opened January 28, 2017, in Stonewood Village at 4719 Lower Roswell Road, Marietta Georgia. Gluten free menu with gluten free pancakes and cinnamon rolls. High-quality products from family-owned and operated businesses: Jones Dairy Farm, Natalie’s Orchid Island Juice, Sweet Ali’s Gluten Free Bakery, Deneen Pottery.